A day of oversteering, clutch-kicks, engine revving, screeching tryes, shredding tarmac and adrenaline got the staff and regular freelancers of west London based lighting rental company Colour Sound Experiment pumped in a maelstrom of burning rubber and spinning donuts … Ken Block and Keiichi Tsuchiya look out! 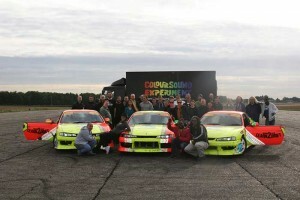 Around 50 people joined Haydn Cruickshank and the Colour Sound team at Bovingdon Airfield in Buckinghamshire where they energized with the Slide School Drift Academy (SSDA) headed by Alan Arnott and spent the day engaging in one of the most exhilarating and exciting divisions of motorsport - drifting. This company’s annual day out this year continued the extreme sport theme – in the past they have gone wake-boarding, indoor skydiving and indoor skiing. "It proved to be another fantastic day of fun and action," comments Haydn, adding that taking those who work together regularly day-to-day into new contexts is a real boost to teambuilding. 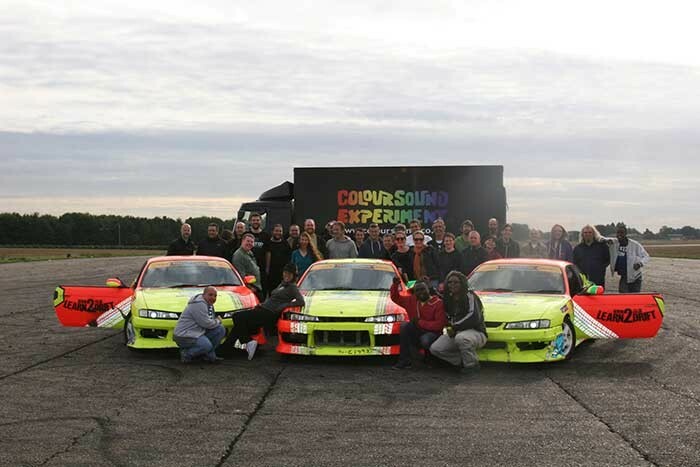 SSDA supplied five rear-wheel drive teaching cars for the day accompanied by British Drift Championship level instructors, all of which were used to the max as CSE’s lighting designers and technicians swapped CAD drawing, coiling cables and banging trusses together for refining their limited slip differentials(LSDs), perfecting their Kansei techniques and Scandinavian flicks … all creating stupendous amounts of smoke! 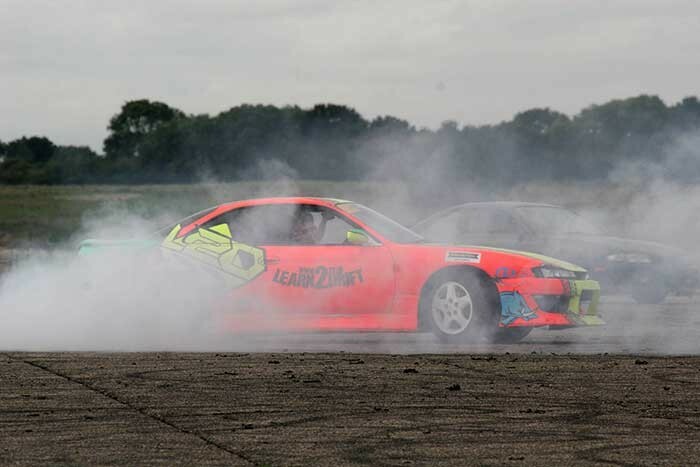 Within a couple of hours the most confident drivers had already learned how to zoom into dizzying donuts, figure eights and complete high speed laps of the track … getting through around 300 tyres in the process! However … none of them quite managed to reach the skill levels of Ken Block’s famous gymkhana 5 speed-tastic burn around San Francisco … in this session at least! Those without current drivers licenses were not left out of the action either, going out as passengers, or the more adventurous were taught the basics of high speed gear changing at the other ‘quiet’ end of the track. Whilst all this was going on, catering took a turn in the opposite direction … with a 15 hour slow-cook American barbeque arranged as an integral part of the experience … which also went down a storm after the driving. "It was our most successful day out ever," says Haydn. "Everyone had a real laugh and I am sure more than a few driving fantasies were lived out," he says, adding that it also brought an interesting new perspective to the classic age-old lampie phrase, "More smoke"!